Conor McGregor, who recently un-retired from fighting after retiring mere days earlier, has reportedly settled a lawsuit filed over a phone-smashing incident outside a Miami nightclub. TMZ reported that Ahmed Abdirzk, the man who allegedly had his phone smashed by McGregor while he was trying to take a photo, has filed paperwork to have the suit dismissed with prejudice. Abdirzk had sued McGregor for battery, assault and intentional infliction of emotional distress. TMZ believes the dismissal paperwork points to a settlement, as Abdirzk was asking for $15,000 in damages and McGregor is conservatively worth tens of millions of dollars. The incident went down back in March. According to Abdirzk, he was outside a Miami nightclub when he saw McGregor and his entourage walking up to the club. 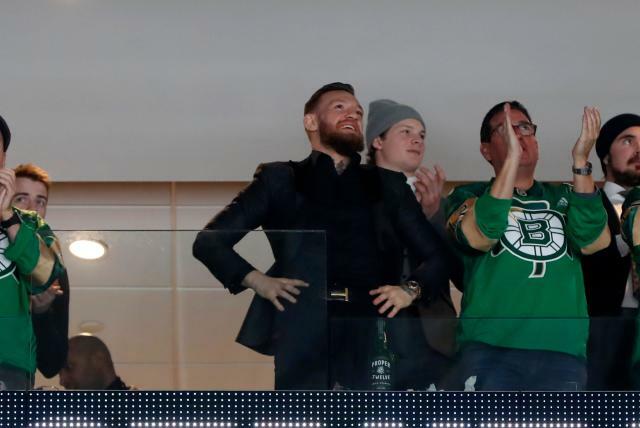 He took out his phone to grab a picture when McGregor approached with his hand out. Abdirzk extended his hand to give McGregor a handshake, which is when Abdirzk says McGregor knocked the phone from his hand and proceeded to stomp on it. Several days later, TMZ posted a video of the altercation that shows McGregor stomping on an item on the ground, and Abdirzk yelling “Let me get my phone, man!” while being held back by two of McGregor’s security personnel. The possible dismissal of the lawsuit doesn’t erase the incident, though. McGregor is still facing charges of felony strong-armed robbery and misdemeanor criminal mischief.